23 Jan 2019 --- An omega 3 DHA target blood level of 5 percent or higher reduces the risk of preterm birth, according to a new study. Previous studies had uncovered that DHA levels in pregnant women are often low and researchers support that there continues to be inadequate intake of the fatty acid despite strong recommendations. The study, published in the December edition of Nutrients, discusses the ramifications of DHA depletion in pregnant women and sets a clear target level. Authors Kristina Harris Jackson, Ph.D., and William S. Harris, Ph.D., say that women should aim for a DHA level of 5 percent and over. “Since the recommendations for women to consume fish and to take a 200mg DHA supplement during pregnancy generally are not being heeded, there is a need to motivate practitioners and pregnant women to attend to these recommendations,” they note. “Having an objective prenatal blood DHA test could provide such motivation,” the researchers say, while more research is needed to test the clinical utility of this proposed target prenatal DHA level. Seventy percent of US women of childbearing age have DHA levels below 5 percent and dietary intake data suggests that they consume only 60mg of DHA daily, the study says. Experts suggest a minimum of 200mg per day or higher, from fatty fish like salmon or an omega 3 supplement that contains DHA. Several studies have shown that high DHA levels may reduce the risk of preterm birth. More specifically connecting it with a reduced risk of preterm – before 37 weeks – and early preterm birth – before 34 weeks. Moreover, a study published last November came to the conclusion that DHA could lower the risk of preterm and early preterm birth by 11 percent and 42 percent, respectively. 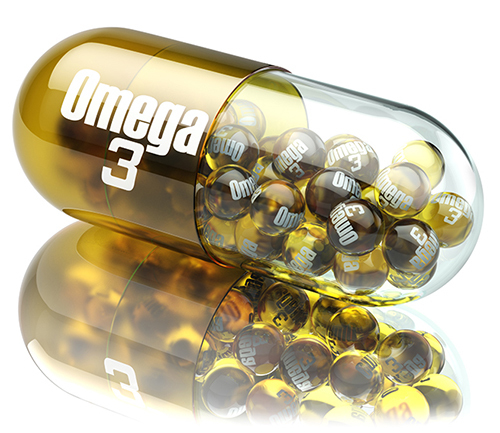 Click to EnlargeAnother study published last August showed that women who had higher omega 3 levels were at significantly reduced risk of early preterm birth. “Our findings are consistent with the results of most randomized trials of long chain omega 3 fatty acid supplements in pregnancy and support the importance of ensuring adequate intake of these nutrients during pregnancy, either through fish intake or supplements, to help prevent early preterm birth,” said co-author Andrew Thorne-Lyman of Johns Hopkins Bloomberg School of Public Health. Harris is the President and CEO of OmegaQuant Analytics, and Jackson is the Director of Research. 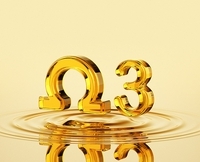 OmegaQuant Analytics is a research and commercial lab that specializes in fatty-acid analysis. The study received no external funding sources. Fatty acids are also linked to brain development in infants and children, with a recent study finding that infants who received supplements containing, among others, long-chain omega 3 and 6 fatty acids showed positive advancements in a number of important areas. These included linear growth at age eight and ten months and psychomotor development at 12 months of age, a key factor in later academic performance. Additionally, according to a study from Turku University, Finland, eating fatty fish – rich in fatty acids like omega 3 and 6 – regularly during pregnancy could boost the development of an unborn child's eyesight and brain function.